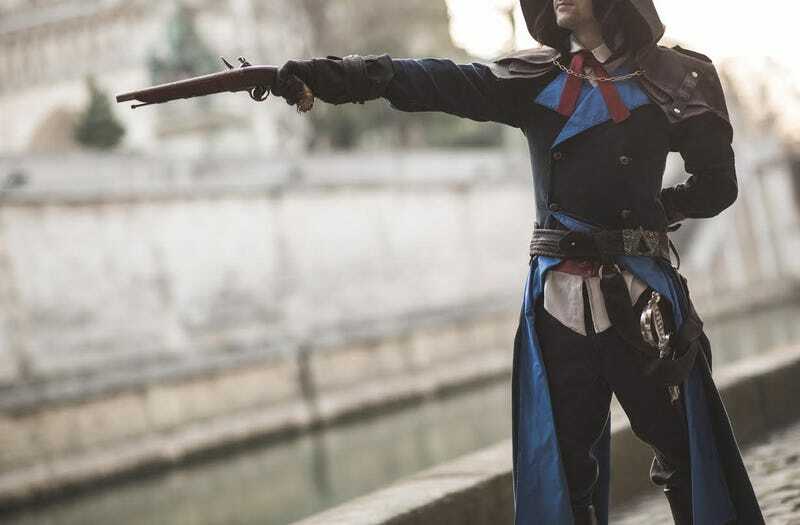 Reader Pierre, a fan of Assassin's Creed cosplay, has gone to the trouble of making an outfit for the series' latest hero, a character we've barely seen and know nothing of. A little crazy, perhaps, but you've gotta admire his dedication! Especially since he went to the trouble of getting to the actual location depicted in the the game's debut trailer. You can see more of Pierre's cosplay at his DeviantArt page. Photos by alarzy.